Serious back injuries can be some of the most painful and difficult injuries that a person can suffer. Problems arise when the vertebrae, discs, or spinal cord are injured. Broken vertebrae can damage and impinge on discs or the spinal cord causing extreme pain, numbness, and loss of control of bodily functions. Back injuries can occur through traumatic events that result in pain and paralysis. Depending where and how severe the injury is will determine what type and how severe the paralysis. Texas Serious Back Injury Lawyer handles Texas traumatic back injury lawsuits where a person suffers serious injuries caused by someone else's mistake. If you or a loved one has suffered a serious back injury and are seeking compensation, contact Texas Serious Back Injury Lawyer, Jason Coomer, for a free review of a traumatic back injury claim. As a Texas back injury lawyer, Jason Coomer helps families seek compensation for serious back injuries including severed spinal cords, crushed discs, herniated discs and bulged discs. The human spinal cord is basically a bundle of nerves which is surrounded by 33 bones or vertebrae. Located between each vertebrae is a spinal disc which is a liquid filled disc shaped pouch. These discs are stacked on top of one another and act as shock absorbers allowing the spine to flex, bend, and twist. When functioning properly, the vertebrae and discs protect the spinal cord allowing nerve impulses to travel from and to the brain to other parts of the body. This allows us to experience sensations, move our bodies, and control many bodily functions. The second step is determine how to pay for the necessary medical treatment and if necessary hire an attorney to thoroughly investigate the accident that caused the injury, all potentially responsible parties, and all insurance coverage that may apply. Catastrophic injury lawyer, Jason Coomer handles a variety of Texas injury claims including automobile accident claims (car wrecks, truck collisions, bus collisions, run over bicyclists, and motorcycle accidents); serious falls; electrocutions; fires; smoke inhalation; toxic exposure; industrial accidents; misuse of equipment; falling objects; explosions; and shattered glass. As a Texas Back Injury attorney, Jason Coomer has been fortunate enough to represent some really good people that suffered serious back injuries and were caught by the system. He has helped clients obtain money compensation for hundreds of thousands of dollars in medical bills, tens of thousands of dollars in past lost wages, and hundreds of thousands of dollars in future lost wages & damage to career, hundreds of thousands of dollars for impairment, disfigurement, and future medical. The money compensation has helped individuals go back to school to begin new careers, obtain quality health care, and families hold onto their home. Jason Coomer works hard to make a difference in people's lives spending a vast amount of time battling insurance companies, investigating injury claims, researching law, reading medical records, deposing experts and negligent actors, working with clients, determine damages and liability exposure estimates, and pulling together multimedia presentations for mediations, trials, and arbitrations. As a Texas serious fatal accident and serious injury lawyer, Jason Coomer handles accidental death claims, medical malpractice claims, premises liability claims, and automobile accident claims, Jason Coomer has assisted injured individuals and the families of people that have been wrongfully killed assert their rights after an accident. Whether a person is injured by a hazardous trap, falling object, serious fall, dangerous defect, careless actions, or the negligence of another, individuals often need assistance from a Texas Catastrophic Injury Lawyer in dealing with and seeking money compensation from insurance companies and large corporations for the damages that they have suffered. If you have been seriously injured or have lost a loved one through the wrongful actions of another, contact Texas Catastrophic Injury Lawyer, Jason Coomer, for a free review of your potential claim. As an Austin Texas Back Injury Lawyer, Houston Back Injury Lawyer, and San Antonio Back Injury Lawyer, Jason Coomer has worked on a wide variety of cases and has had the opportunity to work with and against some excellent lawyers including Dallas Personal Injury Lawyers, Houston Personal Injury Lawyers, San Antonio Personal Injury Lawyers, and Austin Personal Injury Lawyers. Jason Coomer assembles litigation teams of Texas Personal Injury Lawyers for the large catastrophic injury claims and builds multimedia presentations for mediations, arbitrations, hearings, and trials. He understands that he is dealing with someone's life and the devastation that has been caused by a catastrophic injury or loss of a loved one. He provides individualized attention to his injured clients and works for their best interests. If you have been seriously injured or have lost a loved one through the wrongful actions of another, feel free to contact Austin catastrophic injury Lawyer, Jason Coomer, with your name, date of accident, location of accident, nature of the injuries or loss, and name of the potential defendant for a free review of your potential claim. Wrongful Death Claims - As a Texas Wrongful Death Lawyer handling wrongful death claims, Death Claim Lawyer, Jason Coomer assists the families of the deceased and assert their rights after an accident. Whether a person is killed through hazardous activity, corporate negligence, or mere carelessness, the family needs a Texas wrongful death attorney they can trust to investigate and prosecute a claim. 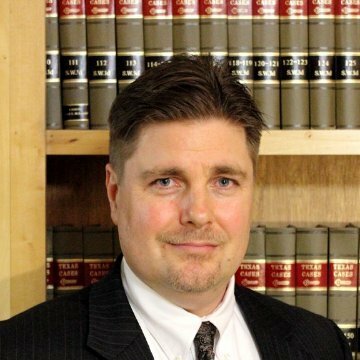 Austin Death Lawyer, Jason Coomer, handles Texas wrongful death claims. As a Texas Personal Injury Lawyer, I have reviewed numerous claims for damages arising out of a hidden hole, falling merchandise or shelves, lack of proper lighting, improper design of stairs, improper security, and other dangerous conditions. If you have been seriously injured or have lost a loved one through the wrongful actions of another, feel free to contact me with your name, date of accident, location of accident, nature of the injuries or loss, and name of the potential defendant. Texas catastrophic injury lawyer, Jason Coomer is available for a free review of your potential Texas personal injury claim.